Shared by a colleague in England: – WHO KILLED THERESA? As has been reported by Gadget, Bloggs and others; this colleague was beaten unconscious by 2 people, she stopped whilst on mobile patrol. 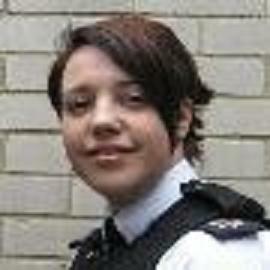 Get well soon PC Croucher. 1. Single crewing doesn’t really work that well. 2. Close the department that suggested single crewing thereby saving funds. We call this modernisation. 3. All police Bloggers could post this image of PC Croucher on their blog, as started by Gadget, to show the Home Office, Government and ACPO they are peeing COLLEAGUES off.